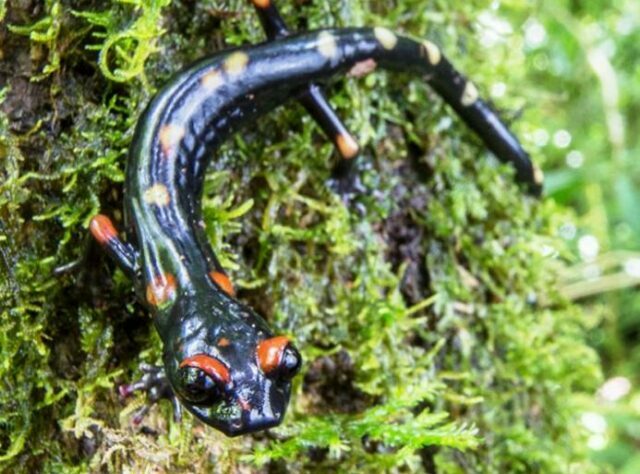 The last remaining forest home of two species of salamander, lost to science for nearly 40 years, has been saved following the completion of a land purchase supported by World Land Trust (WLT) and a consortium of funders. The purchase of Finca San Isidro in the western highlands of Guatemala was finalised by WLT’s Guatemalan partner, Fundación Para el Ecodesarrollo y la Conservación (FUNDAECO) in September 2015, following WLT’s donation toward the purchase earlier in 2015. Among others, the species that are now protected are Finca Chiblac Salamander (Bradytriton silus), categorised by IUCN as Critically Endangered, and the Long-limbed Salamander (Nyctanolis pernix), categorised as Endangered. High in Guatemala’s Cuchumatanes mountain range, the salamanders’ forest home had been slated for coffee production. Land clearance would have certainly gone ahead if it hadn’t been for the intervention of international funders. FUNDAECO identified the importance of the property back in 2009. Finca San Isidro measures 2,280 acres (922.5 hectares) and of the total area, WLT funding has secured more than 800 acres (324 hectares). FUNDAECO will oversee the conservation management of the property. “There is real value in international funding organisations working together to meet conservation objectives that would have been impossible for any individual funder to achieve on their own. I am delighted that World Land Trust has been able to work in partnership with FUNDAECO and other funders to create this outstandingly biodiverse reserve in the mountains of Cuchumatanes,” said John Burton, WLT Chief Executive. WLT’s funding for the reserve came from corporate supporter Puro Fairtrade Coffee and a significant individual donor who wishes to remain anonymous. Other funders include: FUNDAECO, Global Wildlife Conservation, Rainforest Trust, International Conservation Fund of Canada, Amphibian Survival Alliance and philanthropist Andy Sabin. The Finca Chiblac Salamander and Long-limbed Salamander were discovered, along with a third species, Jackson’s Mushroomtongue Salamander (Bolitoglossa jacksoni), by students Paul Elias and Jeremy Jackson in the cloud forests of the Cuchumatanes in the 1970s. The Finca and Long-limbed species turned out to be missing links that tied together the evolutionary tree of new world tropical salamanders. But after that extraordinary discovery the salamanders went unseen for more than three decades until rediscovered by FUNDAECO more than 30 years later. In 2014, FUNDAECO’s Carlos Vasquez led an international team of scientists that included Paul and Jeremy to the site where he had rediscovered them. 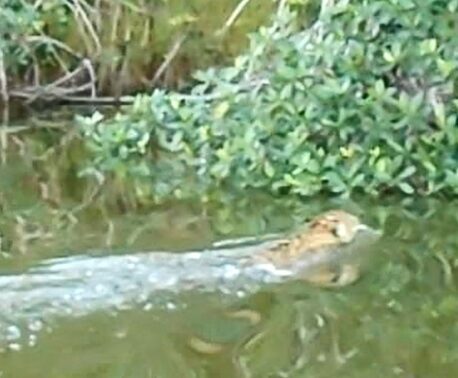 Now, thanks to WLT and other funders, the future of these rare creatures is secure. “This incredibly biodiverse cloud forest on the oldest mountain block in Central America is home to the missing-link species and genera we found there all those years ago. Many other species of great interest have already been found and many more will follow at this exceptional site,” said Paul. Finca San Isidro is home to a treasure trove of amphibian species, including the recently discovered Cuchumatan Golden Toad (Incilius aurarius) and the beautiful Black-eyed Treefrog (Agalychnis moreletii). Of the 20 amphibian species that live in or near Finca San Isidro, 10 are classified as Critically Endangered or Endangered on the IUCN Red List. The remoteness of the Cuchumatanes mountain range has protected much of the forest to date, but increasing pressures from the coffee industry put these forests at risk. Local and international scientists and conservationists have identified the area as one of the highest priorities for immediate conservation action. San Isidro is the first amphibian reserve in the western highlands. WLT is also supporting a second reserve in the western highlands at Laguna Brava, also with the support of Puro Fairtrade Coffee. 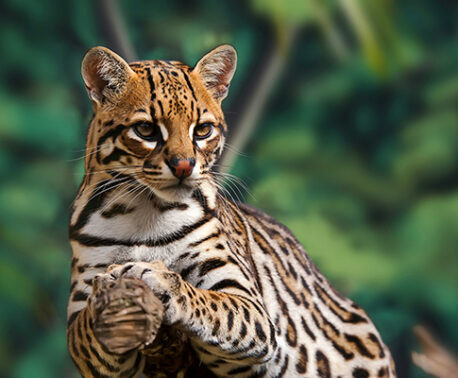 You can support WLT’s work in Guatemala by donating to the Keepers of the Wild appeal.